The Hope PRESSFIT41 30mm Bottom Bracket is a high quality fit 41 bottom bracket bearing solution for 30mm crank axles. 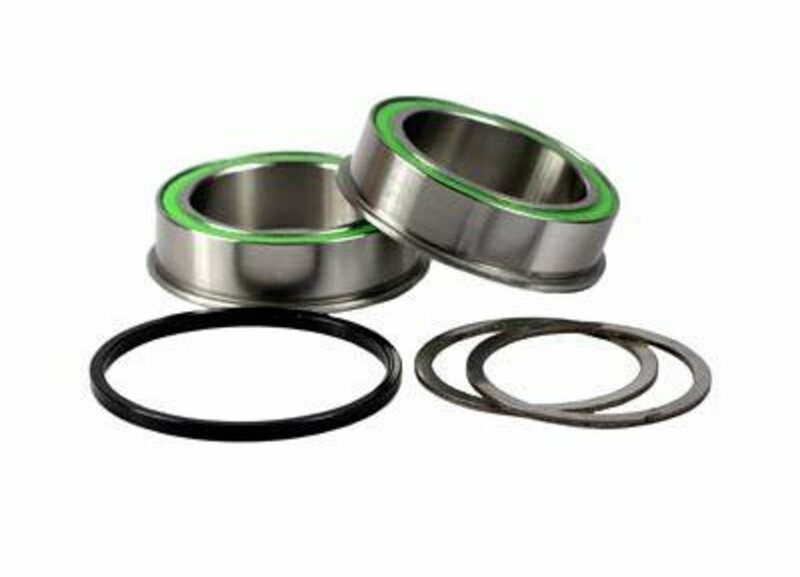 It features high quality bearing that provide the upmost performance and are extremely durable. Can be used for road, cx, mtb and fat bikes! The previous bottom bracket wore out so I replaced it with the Hope one knowing the quality would be there. It's far smoother than the previous BB. I picked up at Jenson in Riverside. Will this fit my 2018 Giant trance 2? Hi will this work in place of a regular pf92 bb frame?thank you in advance. BEST ANSWER: Seems like it should so long as your shell is 41mm and you have a 30mm crank spindle. Spacers may be required, check the link on HopeTech site under the PF41 30mm product page (manuals and diagrams -> hope crank bb compatibility pdf). I’d post a link but Jenson won’t allow it for some reason. Jenson -> please allow posting of links to a manufactures page. Yes, this will work. I installed it in my pf 92, and it’s magic. This is the only way to get a larger, longer lasting, more robust bearings in your pf bb. Only design flaw of the 92, conventional pf bb’s with cups use up too much space, and result in small, week bearings. Yes, this will allow you to fit a 30mm spindle crank (hope, race face) on a frame with a bb92, pf92 bottom bracket shell. Yes. This is direct replacement for bikes like the newer Yeti that have pf92 bb's. Yes, I put these on my giant reign with PF92 BB to use race face 30mm cranks. I believe so. Mine went into a YT Jeffsy. Will this work on a Salsa Bucksaw fat bike with 121mm BB shell width? BEST ANSWER: The bottom bracket doesn’t care how wide your shell is, only the it is 41mm diameter. Will this fit to kona process 134? Price is for one or two bearings?